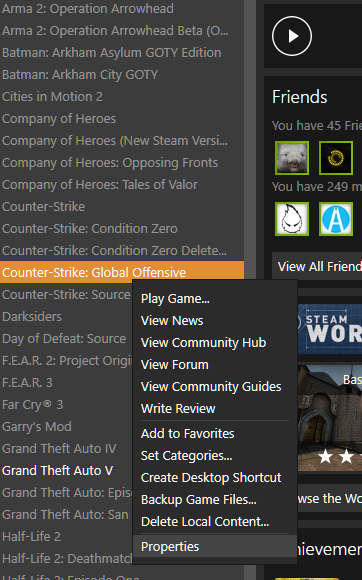 The first step is to launch your CSGO and navigate to the "WATCH" button in the top navigation menu. In the blue pop up window that appears you will want to click on "your matches" there you will find your recent games in the order they were played. After clicking on "Your Matches" You will see a list of previously played games on the left hand side. You will want to find the relevant demo and click on the the block so that it loads the results in to the center screen as shown above. 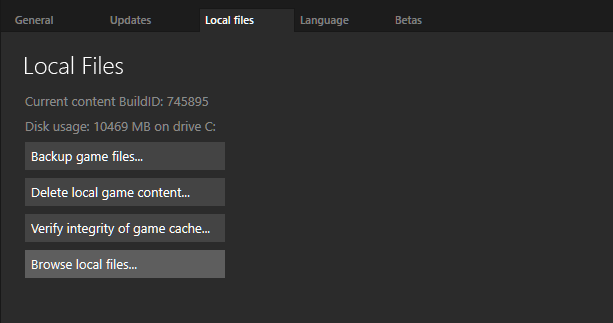 After a few moments depending on your internet connection speed the demo will be downloaded and you can now navigate to the demo folder which can be found by going into your Steam Library and right clicking on Counter Strike: Global Offensive and going to properties. After doing this you need to click on thhe "Local files" tab in the windows that pops up and click on "browse local files..."
Now you can see the files for csgo on your computer that are currently installed, click on the "csgo" folder and then click on the "replays" folder. If you have multiple demos, click the "Date Modified" column and ensure that the newest demos are at the top (check the date) so that you can be sure that you have the correct demo, otherwise you may submit the wrong one! After that you will need to fill out the small form with your details and agree to the terms and conditions. Now you can click the UPLOAD button which will allow you to upload your demo, you may need to click on "my files" if this screen does not yet appear. Now either click the Files option and navigate to your demo file shown previosuly in this guide or Drag and drop the download file on to the center of the screen. Once your file has been uploaded you can now right click on it and select "copy link" You will use this to paste in the sparkles demo submission form!